​​With at least half of our membership living overseas, we are used to them travelling backwards and forwards, but few travel as far afield as Peter and Belen Twelftree, who have another home in Catanduanes, a small island in the Philippines. They give a fascinating account of their ‘24 hour journey there from Alicante via Madrid, Paris and Singapore to Manila, then later, onward to Catanduanes, which lies in the path of typhoons coming off the Pacific Ocean. When we know they are coming we place ‘typhoon boards’ over the windows to minimize damage, with winds around 100kph’. ‘Electricity over much of the island can fail for weeks, and the public water supply can be intermittent, but we have our own deep bore and pump. The garden had suffered, but fortunately the orchid collection had not sustained damage. We visited Belen’s home village on the north of the island where a tidal wave had destroyed the houses nearest the beach’. Peter goes on to describe his experience living through an earthquake sitting at his computer and gives details of many aspects of normal life there. ​​​Another trend emerging was that most social events took place in public places rather than at a member’s home, and mostly involved evenings out at places such as Los Leones and Viva Espana, as well as Ten Pin Bowling in Calpe followed by a Chinese supper. ​​The Algarve hosted a hundred or so delegates at the Cluster ‘this year in an excellent 4 star hotel with good weather all the time. The first night dinner was good until the band started and conversation had to stop. On Saturday there was a boat trip along the dramatic coastline, on which we held the AGM, then moored in the harbour for a BBQ lunch, with the Gala Dinner being held in the evening’. ​​Javea Players. It was proposed and approved that he be made an Honorary member of the Club’. Looking back, it appears that he was probably the only Council member who never went through the Chair. 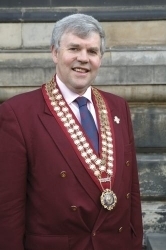 At the 2005 AGM Ted Homewood was elected chairman, supported by VC Peter Martin, with Steve Moores and Derrick Berridge as Secretary and Treasurer respectively. There was the usual reminder to members that any subs for the previous year unpaid by the 30th June would result in being ‘struck off’, followed by a plea not to send a cheque as the bank charged 11% to clear it! ​The newsletter carries an in depth pen portrait of Ted’s childhood. 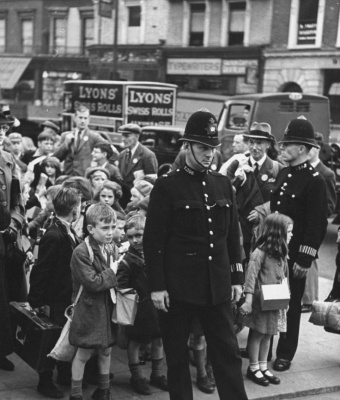 His father died when he was only 7 years old at the outbreak of the second World War, and as well as his sister, he became an evacuee, staying with various families around the country to avoid the bombing in London. At the 11 plus stage, ‘I went to a section of the Brixton Building School which was also evacuated, to Bracknell. I later got a job with a London contractor, where I stayed for 16 years, interrupted only by two years National Service. I joined a Cycling Club and concentrated on time trials of 25, 50 and 100 miles. I also became a member of Kent Athletic Club, concentrating on the 880 yards’. construction sites was not quite so easy, but I got myself a motorbike and sidecar adapted with hand controls, and later a customised company car. Moving to Hampshire, I managed a small local building contractor, and developed an interest in fly fishing. I joined Romsey Round Table and was chairman in 1969/70’. Controversy arose when an announcement appeared in the local press seeking members for a new 41 Club being formed in Calpe. Although it was claimed that the Chairman and several members of Council had been approached with the idea and made no objection, it was also claimed that it had been assumed that it would involve the formation of an extension committee, in a courteous and harmonious manner, especially as most of the proposed founder members were also members of our club. ‘A recent past chairman expressed the view that the Costa Blanca Club had really no objection to a club being formed in Calpe, it was just the way that it was done that stuck up everyone’s nose. Nevertheless, in true 41 Club tradition, we wish them well’. In what has now become the ‘norm’, the year’s social programme had been circulated so that all members could update their diaries. This included a wine tasting and meal; quiz night and dinner; Christmas Party at the Inn on the Green and a visit to the Calpe Sea Food Restaurants. This is the thirteenth of a series of articles on the history and development of the Costa Blanca 41 Club. It is being compiled from a large number of newsletters recovered from files held by Tony Ogden, who played a major part in the development of the Club and later in the development of the group of clubs now known as the ‘Iberian Cluster’. All the text above in italics is directly quoted from newsletters published at the time, and the web posting and additional illustration images are provided by Gordon Macnab.